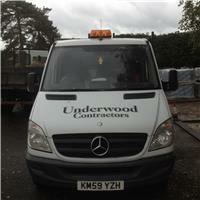 Underwood Contractors - Driveways/Patios/Paths, Landscaper based in Maidstone, Kent. Underwood Contractors are a trusted, professional honest company with a great reputation and have over 30 years experience in the trade. Please call today to discuss your requirements or for free friendly, professional and helpful advice. We look forward to hearing from you.